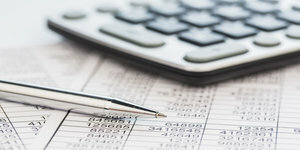 The Vermont Supreme Court has privately admonished a lawyer for engaging in trust accounting irregularities that the court noted are “common in legal practice, particularly for small firms and solo practitioners.” See In re PRB, No. 2013-145 (Vt. Jan. 2017). The respondent regularly handled real estate transactions for buyers and sellers. While he used Quicken commercial bookkeeping software for his finanicial record keeping, he failed to categorize transactions in his trust account by client and matter. Furthermore, he failed to regularly reconcile his Quicken account balances with his bank account statements, and he failed to timely pay fees to himself upon completing matters. Because the respondent admitted to the trust accounting improprieties, and “promptly retained an accountant and an attorney” to bring his accounts “into full compliance with the Rules,” the court imposed only a private admonition rather than the public reprimand sought by disciplinary counsel. Set up a pooled IOLTA account at a Louisiana bank. Most large banks will waive monthly account fees on IOLTA accounts. Use an on-line accounting program. The market leader in this space is Quickbooks Online, although there are many other programs and services that are available such as Xero. Using an on-line service and a market leader makes it easier to find an accountant to help you set up your accounts now and to maintain them later. Within your accounting program, set up individual client ledgers for each matter. How else could you ever figure out who each dollar in the pooled account belongs to? Reconcile the pooled trust account to your Quickbooks records every month. I know that the rule only requires you to reconcile the account “quarterly,” see Rule 1.15(f), but banks issue monthly bank statements so there really is no way to perform quarterly reconciliations. As to record keeping, generate a report of monthly reconciliations and save those reports indefinitely (as PDF files). In addition to saving your reconciliation reports, save your monthly bank statements. Finally, keep two copies of all disbursement sheets/reports generated for your clients—one copy in your client file, and a second copy in your firm trust accounting file. Promptly disburse funds to your client and to any third persons with an interest in those funds. If you don’t, it’s conversion. Promptly disburse to yourself all earned fees. Allowing your fees to remain in the trust account constitutes commingling. Remember, this is not your lawyer savings account; it’s a client trust account.